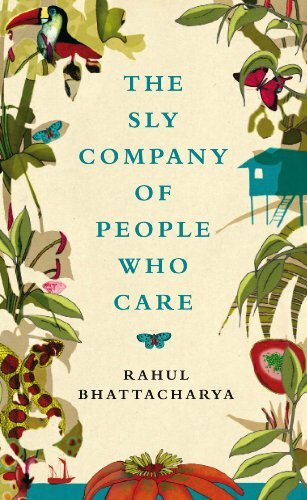 A young Indian journalist decides to live in Guyana for a year. Arriving in Georgetown, the capital of Guyana, he gets to know people with amazing backgrounds and names like Baby, da Jesus, Nasty and Action Jackson. From the streets of Georgetown where the rum flows and the parties are wild, he goes into the jungle with his acquaintance, Baby, where they dig for diamonds. But then the book suddenly changes completely in part two where it takes a look on the history and politics (or politricks) of Guyana. It continues with an illegal trip across the border to Brazil and an encounter with a girl that eventually leads the journalist to Venezuela. Once I got familiar with the Guyanese slang (about 40 pages or so), I truly enjoyed this book. It is a wonderful portrait of a country I knew little about from before. This is also the second book I have recently read about Indian descendants in the West Indies. Although I loved A House for Mr Biswas by V.S Naipaul, I found this book to be a better portrait because it gives a more complex picture. One of the book’s themes is racism, and the divide between the African and Indian descendants is clear and tense. There are some really good parts about it in the book, and I would have quoted them if they hadn’t been so racist. The fact that a large part of the book is written in Guyanese slang made it clear to me how used I’m to Standard English and how I need to read/listen to other variations of English. Next year I will read Trainspotting by Irvine Welsh, and I’m looking forward to that with some fear as I gave up Glue years ago because of the strong Scottish language, I didn’t understand much of what I read. I love the title and the cover of the book. And what’s in between.